Made in canvas, thickened fabric,a handle for ease of pulling around and moving, full-process double-thread sewing, more free opening and closing,which is great for Child. 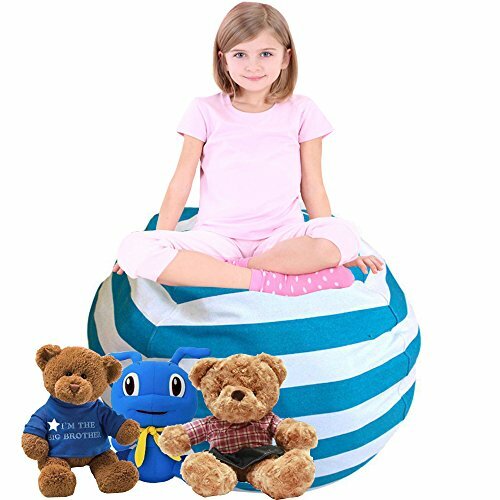 Portable Kids Toy Storage Bag and Play Mat Stuffed Animal Storage Bean Bag Chair Lego Toys Organizer Fashion Storage Bags.The perfect solution for your kid's stuffed toys - and it instantly cleans up the room! Lovely for any special occasion including indoor and outdoor, portable and comfortable. A great gift to a loved one such as Child, lover, friends, wife, mother, daughter, granddaughter, sister or just a friend. 100% Money back guarantee. To guarantee your complete and total satisfaction, Please feel free to contact our customer service anytime if you feel unsatisfied or confused. If you have any questions about this product by LEADERPAL, contact us by completing and submitting the form below. If you are looking for a specif part number, please include it with your message.